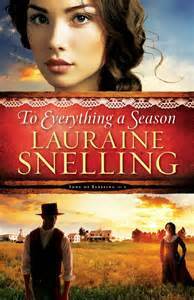 In honor of the keynote speaker from the ACFW conference this year, Lauraine Snelling, I will be giving a copy of her book away this week on my blog. To enter, simply leave a comment below telling how God has turned your mess into a masterpiece. I look forward to hearing from you. The winner will be announced on the Friday Afternoon Fun post. My mess into a master piece has been an up road occurrence. Since my dad passed in November of 09 I really was feeling a slippery slope with anger and frustration. Now I am climbing back up and have reached a point that God is turning this mess into my message and my master piece. He has brought everything full circle for me. Now I do not get as frustrated and angered. I am rolling with God and trusting in him and his will for me. Amen and praising God for this. Jamy, my life 30 years ago was filled with poor choices, addictions that were saddening my family, a horrible marriage and I was a mess! God began to change my heart! I divorced…which removed all alcohol and drugs from my home and began to focus on my work and my family. Since that time, God has raised me up to a life of Joy in my family and through my vocation as a Special Educator and advocate for children and families. His pursuit of me has made an unfinished (my journey isn’t over) Masterpiece out of the ashes of my weakness and mess. I am blessed in more ways than I ever could have imagined! Our God is an Awesome Artist and Author of our lives! Thank you for allowing me to praise Him today by sharing a summary of my story! God bless! I made a very bad decision in 2006 and moved to another state to live with a man who was not God’s choice for me. After two months, God got my attention and I moved out and into a motel room. Mid November, God had me send an email to a friend back in my home state and tell him I was by myself again. We got married in 2010 and he has been a great blessing in my life.